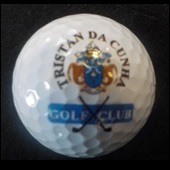 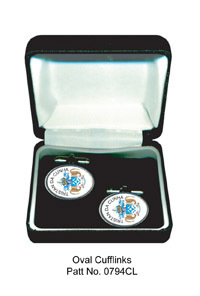 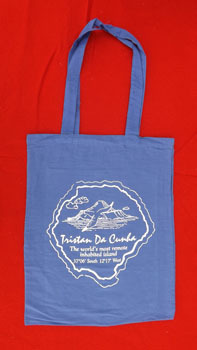 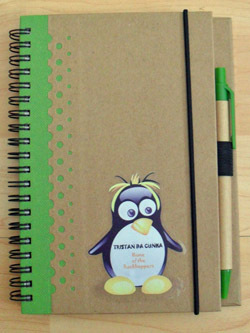 Details of souvenir products that can be bought from the Tristan online gift shop. 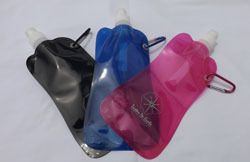 All prices are inclusive of Packaging and Registered Surface Post. 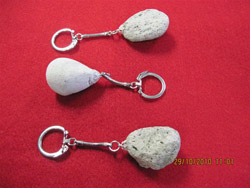 Weights quoted are gross weight with packaging. 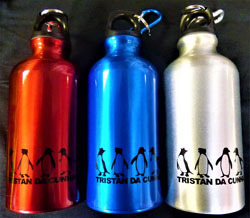 Available colours: Red, Blue or Silver. 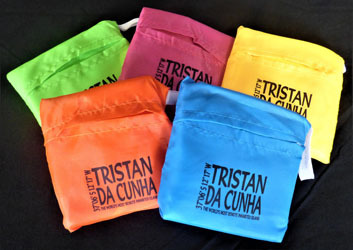 Available colours: Green, Pink, Yellow, Orange or Blue. 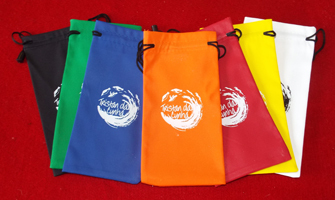 100% organic cotton - GOTS certified & wooden toggles made of twigs. 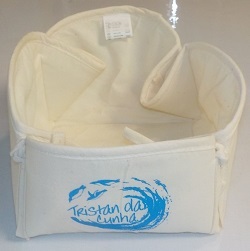 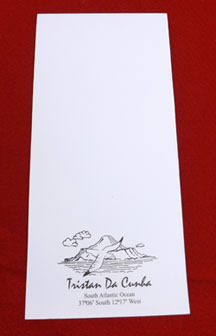 5% of profits are donated to marine conservation projects. 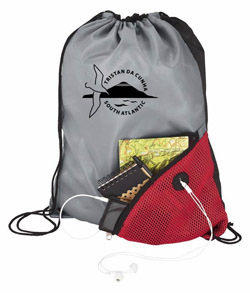 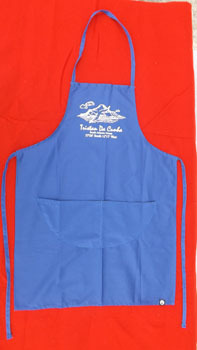 Bags fold into a pouch as shown below. 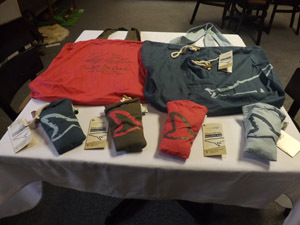 Colours: Blue, Brown, Pink (looks red!) 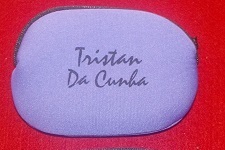 and Grey. 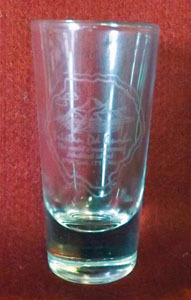 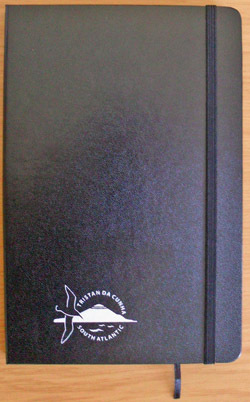 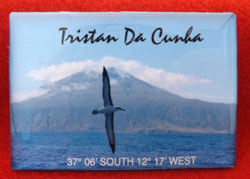 Photo shows front design with whale and back design with Bird/island logo. 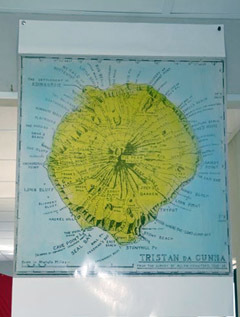 Originally surveyed and produced by Allan Crawford during the 1937-38 Norwegian Expedition and showing all the traditional Tristan names of features around the island at that time. 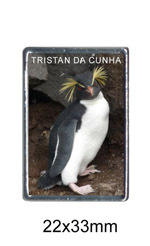 Dawn Repetto's 32 page A5 book (15cm x 21cm) ‘Recipes from Tristan da Cunha’ puts together 36 recipes all clearly set out with ingredients, method and accompanied by 25 full colour photographs. 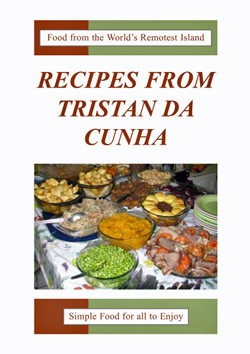 Sections include: 3 soups including ‘Inside Soup’; 5 fish dishes including Crawfish Hash and Fish Cakes made with Cape Mackerel; 8 meat dishes including the famous Stuffed Roast Mutton, Done Down Meat and Pumpkin Bredie; 8 desserts including the traditional Tristan puddings; 7 cakes and pies including Plum Hard Cakes and Snislens and a Miscellaneous section including Potato or Teddy Cakes and German’s Nuts. 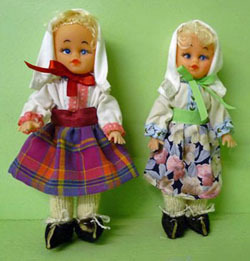 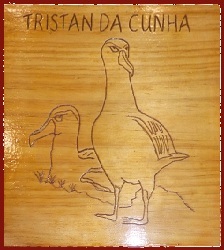 In addition there are features on the traditions which have led to the development of Tristan’s unique range of dishes, notes on Tristan potatoes, fish, sheep and cattle. 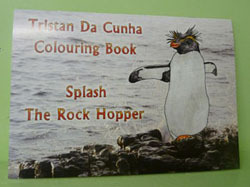 A full review is on our separate Book Shop section. 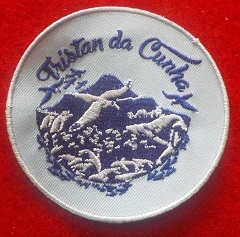 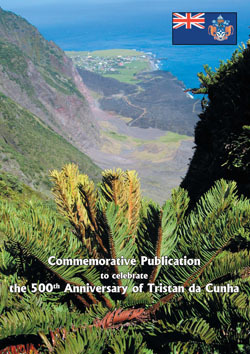 A special commemorative book published by the Tristan da Cunha Association in November 2006 to celebrate the Quincentenary of the island's discovery in 1506. 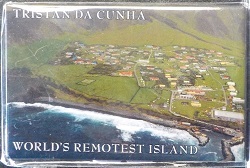 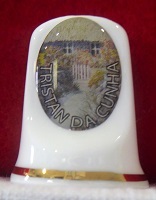 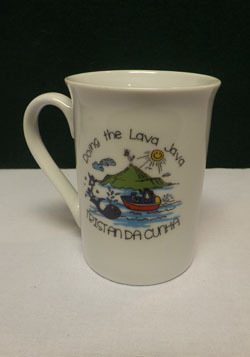 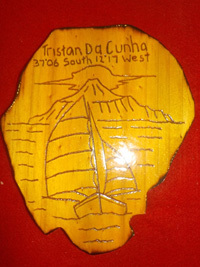 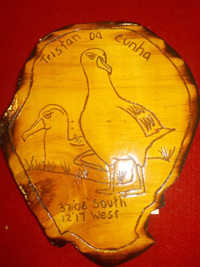 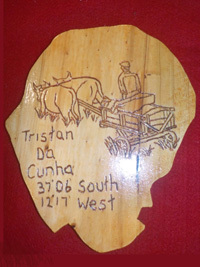 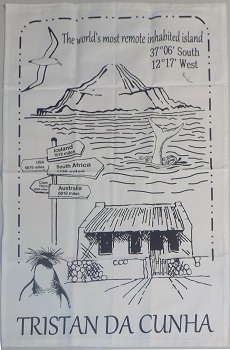 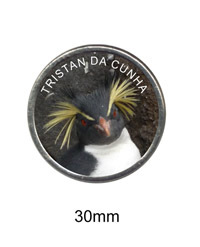 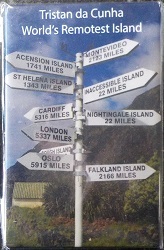 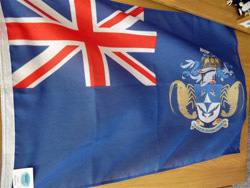 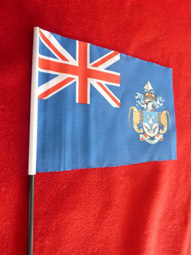 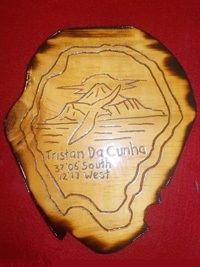 The publication was written and compiled by the Tristan da Cunha Newsletter Editor Richard Grundy. 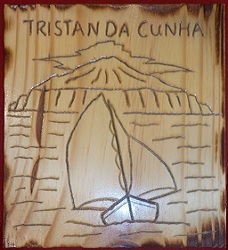 It contains 32 full colour A4 pages with a thin card cover,and provides a well illustrated summary of Tristan's 500 year human history, a profile of the island community in 2006, and key articles on 'Achievements and Aspirations' from The Chief Islander, Anne Green, the Resident Administrator Mike Hentley and Tristan Association Chairman Michael Swales.